Head Coach and General Manager, Marcelo Castillo, will be joined by his coaching staff to host the open tryouts. Castillo will be looking to identify male soccer talent at the player trials, with a possible spot on the Boca Raton FC 2015 squad roster at stake. Male hopefuls interested in attending the Open Tryout must pre-register and can do so below. The registration fee to participate in the tryout will be $25 per player, and must be made online during the registration process. Spaces at the open tryouts will be limited and by pre-registration only. Early registration is encouraged. Media will be invited to attend the Open Tryout date listed above. 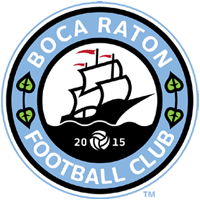 For more information, prospective players should email us at tryouts@bocaratonfc.com. Players are responsible for own equipment and transportation. All players will be given a uniquely numbered BRFC shirt to keep. NO REFUNDS will be given once a player signs up. Participants should arrive at 8:00 am EST for Check-in and registration.